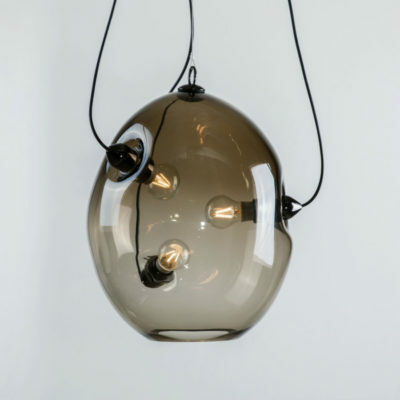 This fabulous glass pendant chandelier was designed by Jette Scheib for the innermost lighting collection. 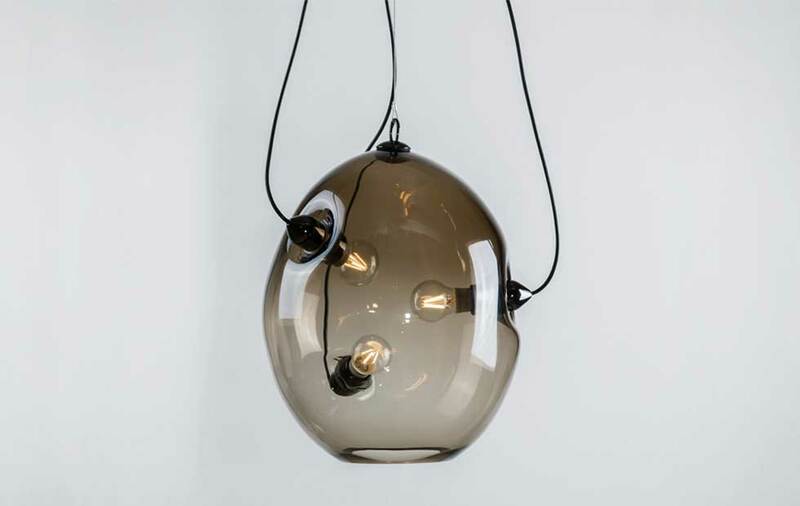 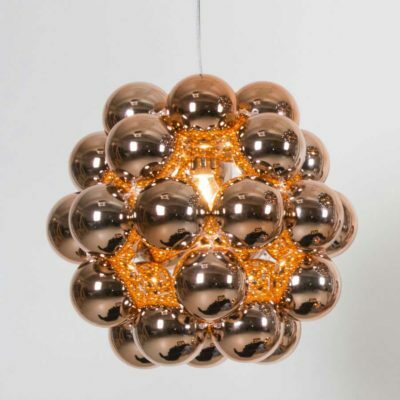 Membrane is a smokey glass pendant that appears to have been punctured by three lamps that are trapped inside the skin. 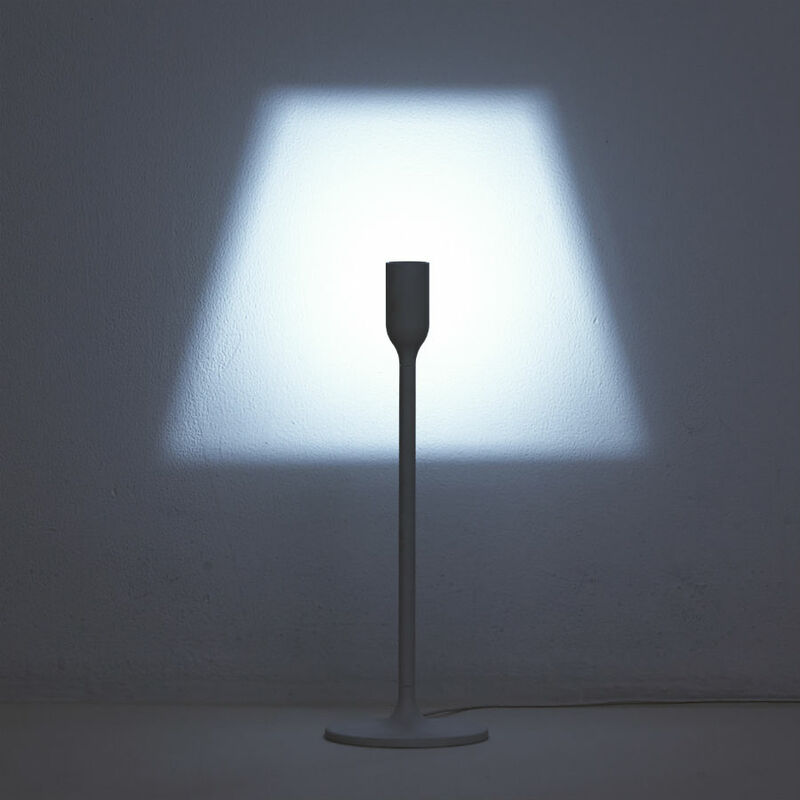 The glass seems to have cooled and hardened at the precise moment the lamps pierce the surface- forever encapsulating the assembly inside the smokey body. 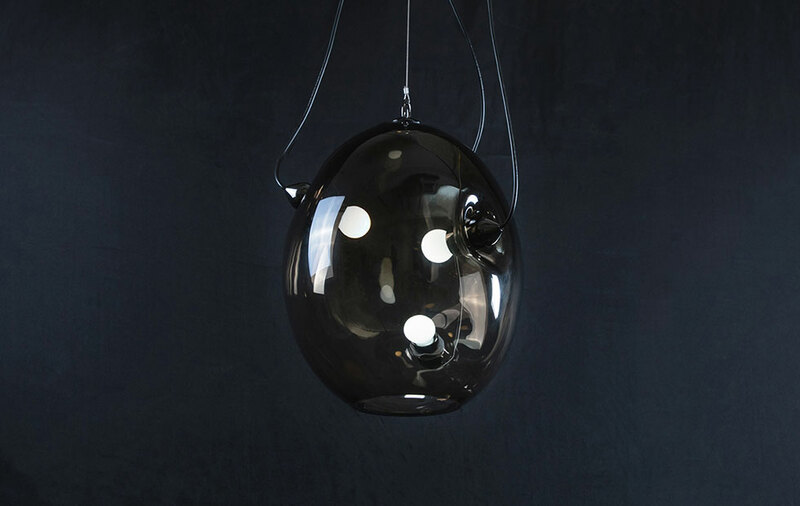 This contemporary decorative light is made from hand-blown glass. 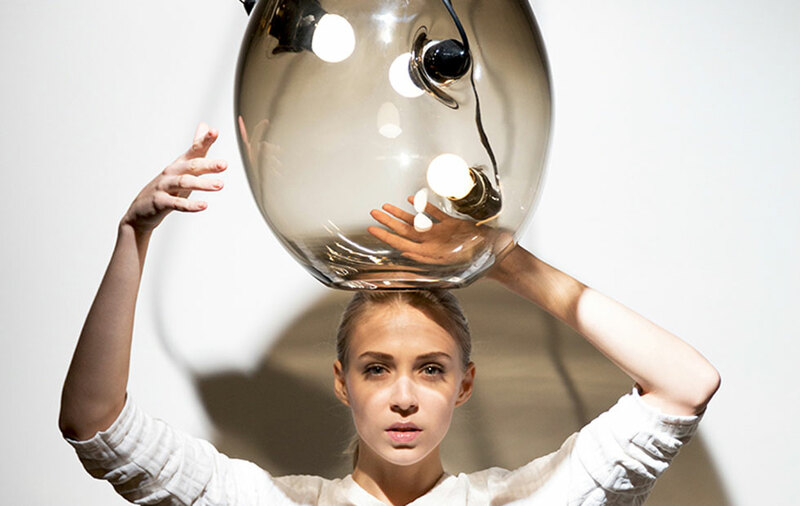 The skills of the glass craftsmen from the Czech Republic are immediately evident in this beautifully unique piece. 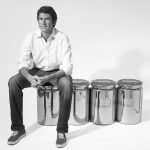 It takes four men and many hours to form each piece; hot and heavy work that requires the most skilled craftsmen to perfect. 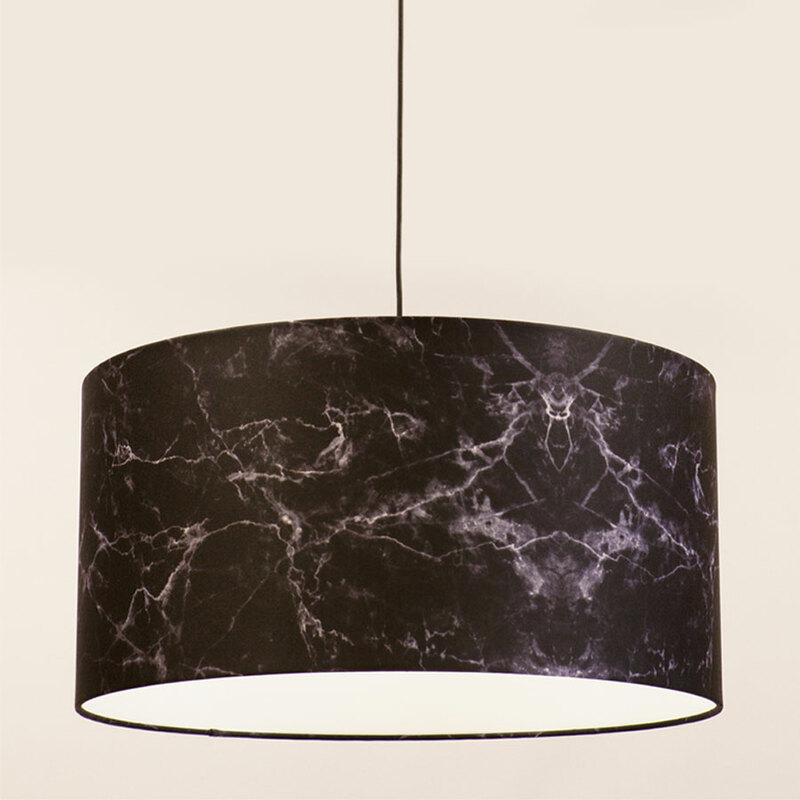 The details of this luxury lighting pendant create the sophisticated feel of the final design. 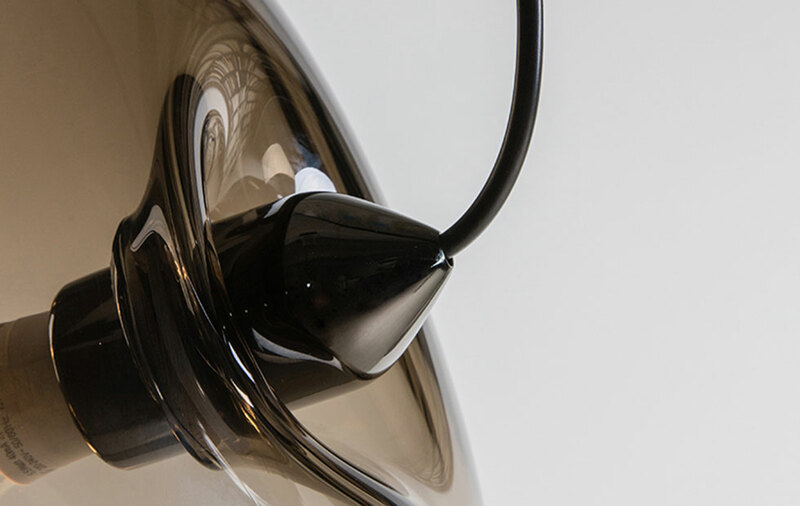 The assembly is finished in polished gunmetal, with three black cables that connect to the glass form. 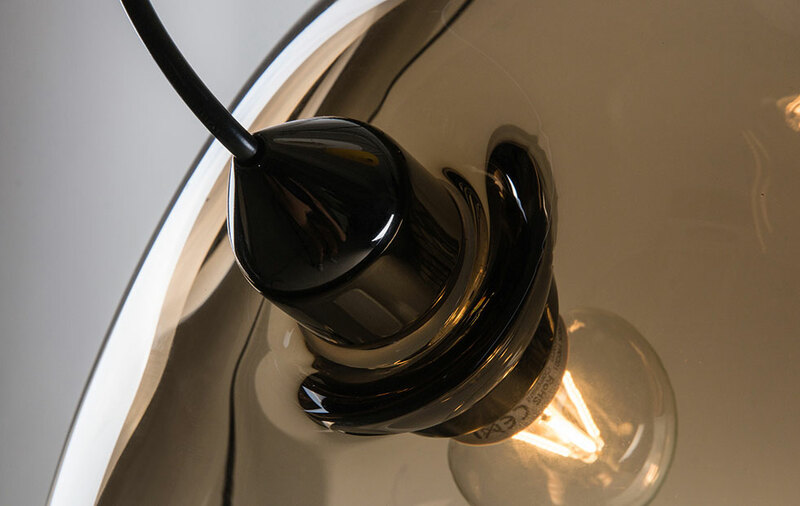 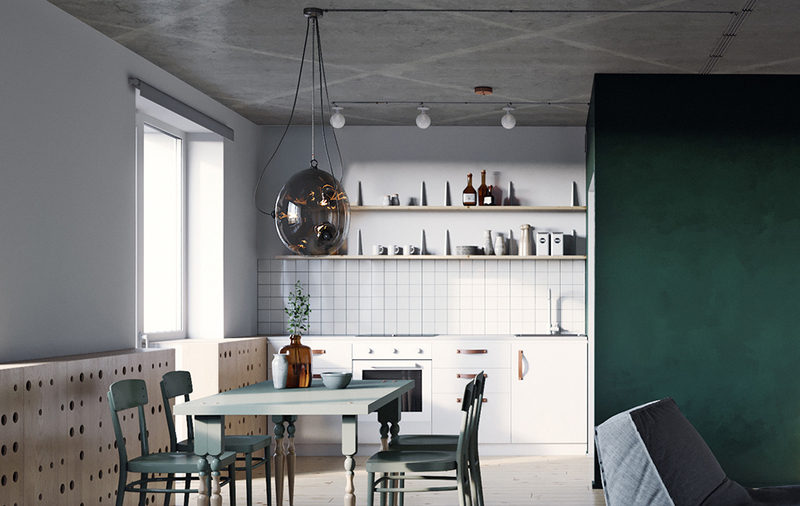 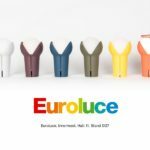 The unique modern light is well suited to high end interiors, particularly residential spaces that require unusual home decorative lighting. 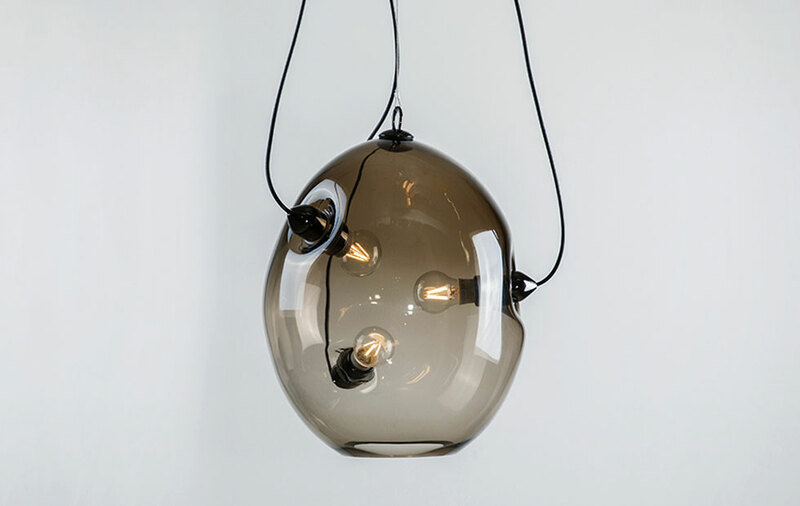 Membrane can provide a versatile final look, defined by the style of lamp that is chosen to illuminate the interior of the smoked glass. 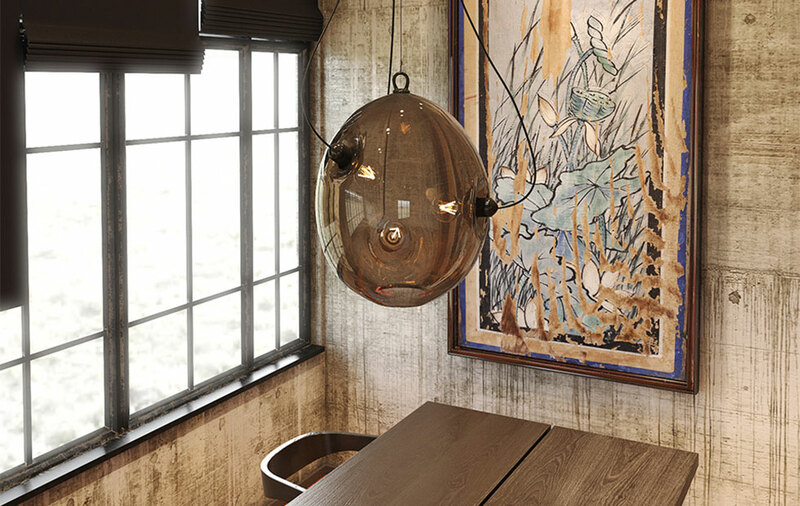 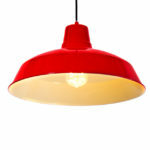 Try vintage filament or pearl bulb depending on the end location of this unique pendant light. 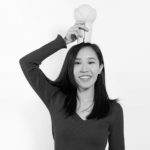 Recommended Bulb: Filament or pearl LED Globe Bulbs with 400 – 500 Lumen output each and 2700K (for warmer with more color). 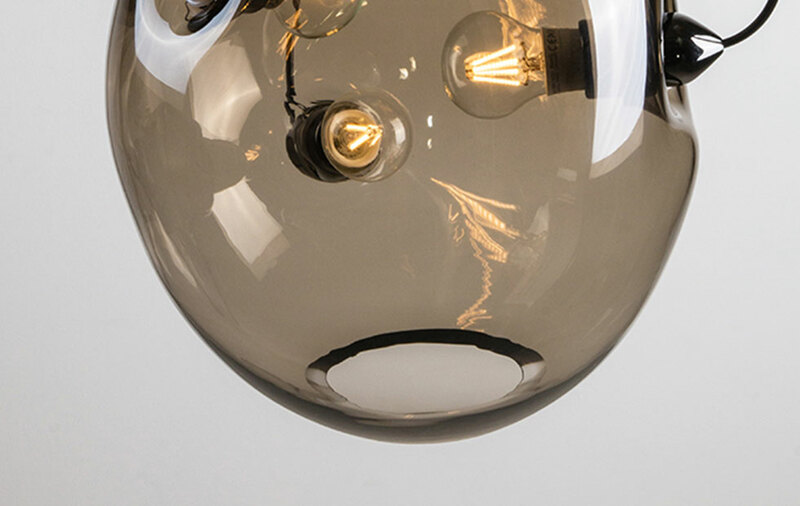 We recommend dimmable bulbs.